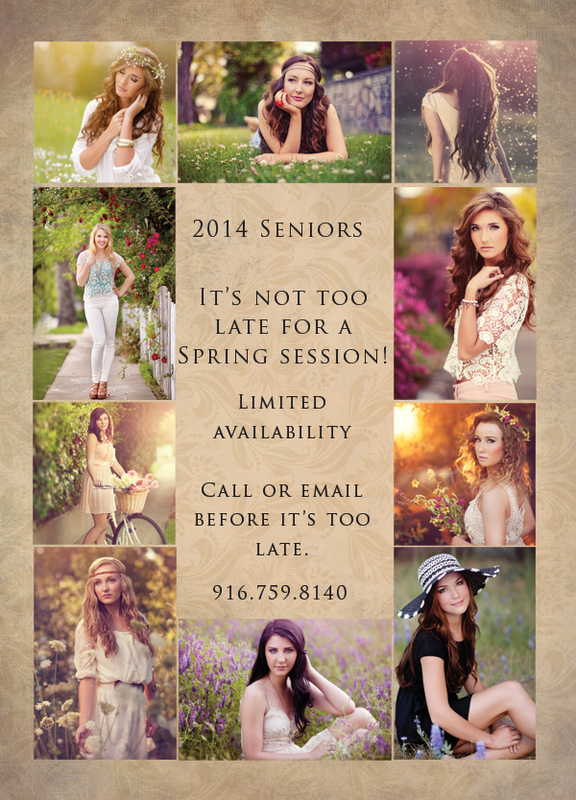 Hey 2014 seniors, it’s not too late for Spring Senior Portraits! We have a few spots left for this year and then they are gone. Visit our SENIOR SITE for more information.